Whipped cream is a necessary topping to many a dessert. Yet, homemade? Well, homemade whipped cream will take any dessert over the top! Unless it’s Thanksgiving and I’m making Pretzel Berry, I rarely buy Cool Whip. I buy whipped cream in a can even more infrequently. And even then, I don’t fully enjoy it because I know neither is all that good for you. Since I’m a coffee freak fan, I usually keep real whipping cream — instead of half and half — on hand. 1 – because it tastes great in coffee. 2 – because it’s dual purpose; it works so well in other recipes. And one recipe that I make often is whipped cream. Yep, whipped cream. It’s a recipe, really. We enjoy homemade whipped cream on waffles with fresh fruit. We top chocolate cheesecake, coffee drinks, and fresh berries with homemade whipped cream. Since making homemade whipped cream doesn’t heat up the kitchen, it’s perfect for summer desserts, like Icebox Cakes. 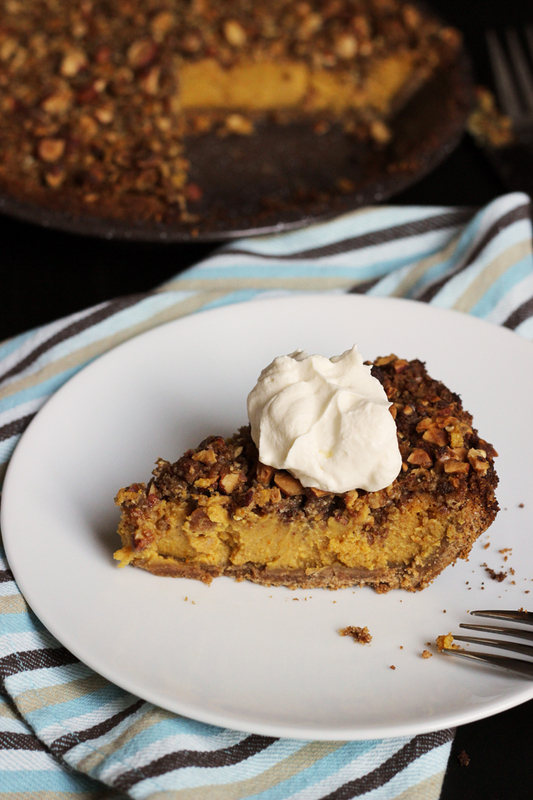 And it takes the Best Pumpkin Pie to new heights. 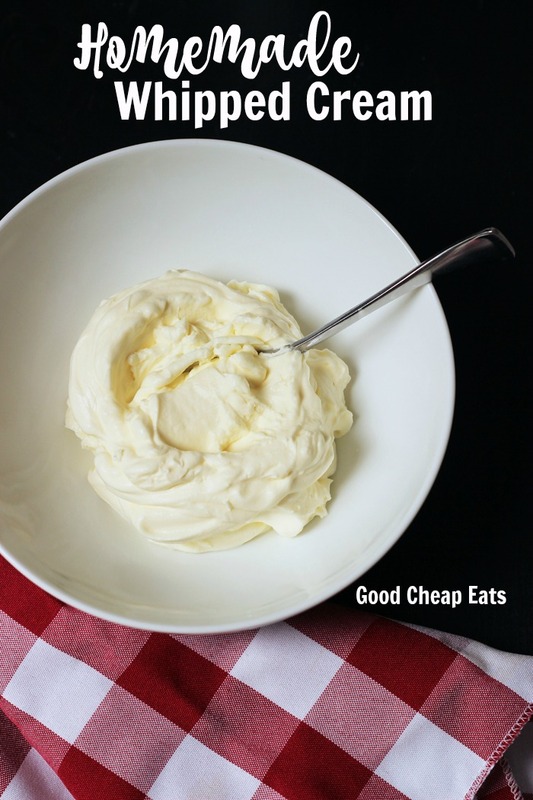 Homemade whipped cream is very simple to prepare. Since I use it for a topping for rich desserts, my version is not very sweet. 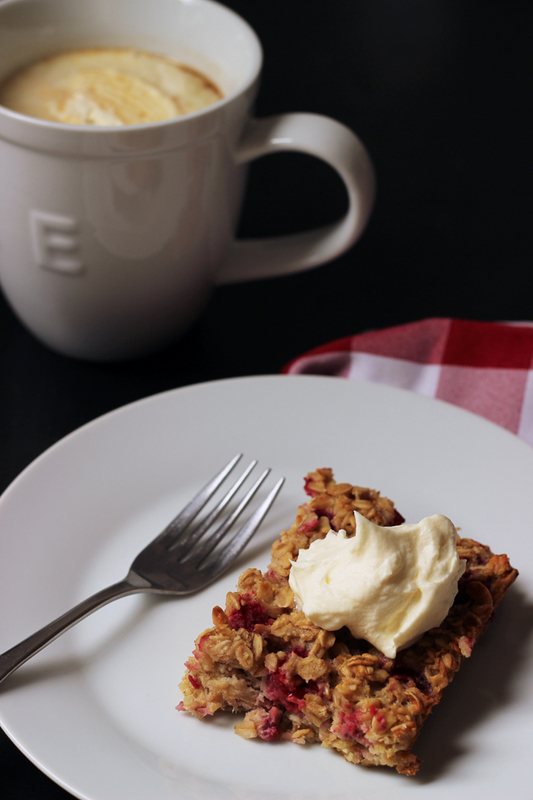 I love the way lightly sweetened cream balances with sweeter desserts, but you can add more sweetener if you prefer. 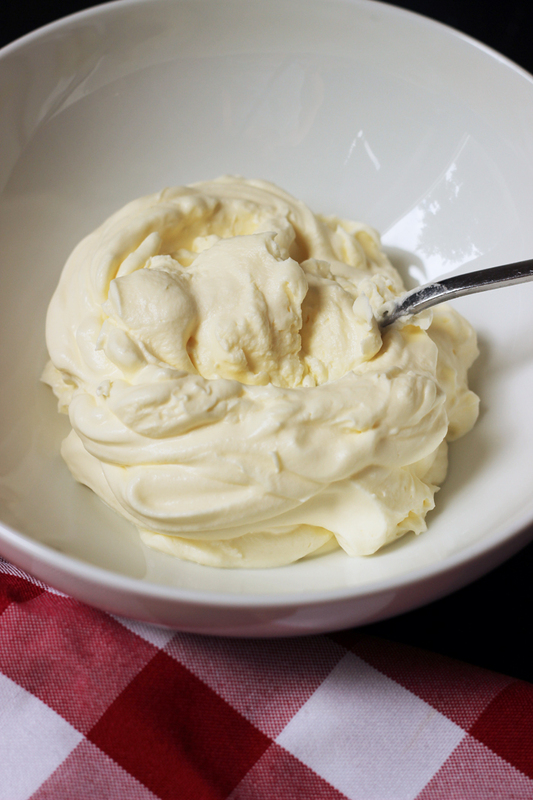 In a large mixing bowl, combine the whipping cream, sugar, and vanilla extract. Whip the cream on high speed until soft peaks form. Alternatively, you can place the ingredients in a blender cup and pulse until the cream is whipped according to your liking. Refrigerate until ready to serve, up to 2 hours. Post updated February 11, 2017.